Jason Schimmel is a composer & guitarist from Los Angeles. With a command of countless genres and a vast list of credits, composer/guitarist Jason Schimmel is a musical polymath whose talents know no bounds. His seamlessly eclectic style—previously on display in boundary-defying bands Estradasphere and Secret Chiefs 3 — calls on anything from surf rock to big-band jazz to Balkan folk to heavy metal. Currently heading the jazz-fusion quintet Atomic Ape, Schimmel has worked with a dizzying array of underground icons and virtuosos, including John Zorn, Trey Spruance, Amanda Palmer, J.G. Thirlwell, Neil Hamburger, Eyvind Kang, Wayne Horvitz, Jason Webley, Carla Kihlstedt, Matt Chamberlain, Tim Young, Michael White, and many more. 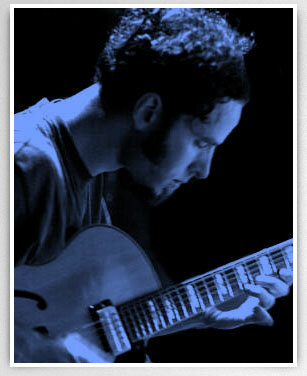 His original compositions have been featured on NBC, ABC, Comedy Central, the Food Network, and Fox, and he has performed at major domestic and foreign festivals such as the North Sea Jazz Festival, the Rothbury Festival, the 10,000 Lakes Festival, the Masada Marathon at Lincoln Center, and the Angel City Jazz Festival. A freelance composer with film-score and production-music credits, Schimmel also works with world-renowned production houses Elias Arts and Hans Zimmer's Bleeding Fingers. His skills stretch beyond composition as well—with expert engineering abilities, he owns and operates The Bunker, a full-service recording studio in Los Angeles. © 2019 Jason Schimmel, All Rights Reserved.